A number of regulatory reforms speak to this reality. The state of securities law locally does not yet encourage capital formation/accretion, at least not to a significant degree as to encourage a momentous increase in the number of locally- domiciled funds or to give comfort to global limited partnerships (LPs), who would have otherwise been comfortable with investing in funds domiciled locally. Hence, the impact of these developments may only be a little more than marginal, at least for the more established funds. However, in terms of private equity deal structuring and M&A, the amendments are very significant. The issues around putting in place an enabling framework for capital formation, will perhaps not go away anytime soon, unless industry organisations, strategically engage the securities regulators on this point. Private equity deals and fund structures sit at the very core of the risk and return dynamics of private equity investments. Nigeria’s Senate recently approved certain amendments to Nigeria’s company law which should have a far-reaching effect on fund and deal structures available locally. The amendments are significant for private equity firms, looking to do deals in Nigeria, in two key areas. The first is with regards to fund formation and fund raising. When the bill becomes law, Nigerian fund managers will be able to set up private equity or venture capital funds using limited partnership structures at the federal level and with legal effect throughout Nigeria. Before now, it was not possible to set up a private equity fund using a limited partnership structure at the Corporate Affairs Commission in Nigeria. Although, Lagos State had passed a limited partnership law (Lagos LP Law) allowing businesses to set up limited partnership structures within Lagos State, the Lagos LP law has a number of challenges, the least of which is the fact the Lagos LP law is of limited application, having only been passed by the legislature in Lagos State. As a practical matter, the implication of the limited application of the Lagos LP Law is that the protections which Lagos LP Law affords limited partners and general partners may not avail them, where a legal action is filed against a Lagos domiciled LP structured fund, outside of Lagos State or in a Federal Court. Perhaps, the greater concern with the Lagos State LP Law is that the constitutional right of Lagos State to enact the Lagos LP Law is now the subject of litigation at the Federal High Court, (Court) in the case of Babalola vs. AG Lagos. Although the Court is yet to reach a final decision on this issue, we find upon a review of the court documents, that there may be some merit in the action filed by the plaintiff in this matter, although we hope that the Court will find otherwise. 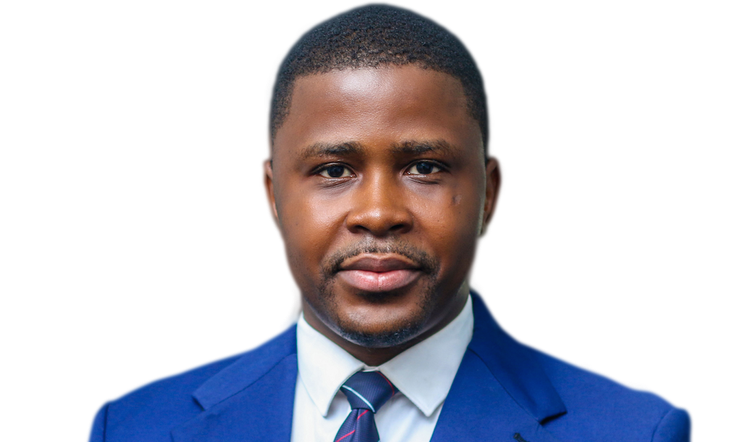 The implication of a decision of the Court in favour of the Plaintiff in this case may have severe consequences for fund managers who have already set up private equity funds using the Lagos LP structure and have not put in place contractual mechanisms for mitigating risks of this nature. For one, such a decision may mean that limited partners can be jointly and severally liable for the liabilities of the relevant fund, much like a general partnership. This eventuality will go against the grain and essence of private equity fund formation using a limited partnership structure and may expose GPs to litigation, in the absence of contractual mechanisms for allocating risks of this nature in the constitutional documents. It may be prudent for affected GPs to commission a legal opinion on the prospects of this court action and to determine the legal structures available to mitigate the effect of a possible decision by the court in favour of the Plaintiff. It may also be prudent for concerned GPs to join this action with a view to filing pertinent briefs, as this will provide them the opportunity of being heard by the Court. It is in the light of these developments that the recent move by the senate approving the registration of limited partnerships at the federal level and as a federal matter, is very significant for Nigeria’s private equity dealmakers. The second reason why the amendments to Nigeria’s company law is relevant for Nigeria’s private equity industry relates to deal structuring. Before now, target companies were prohibited from providing financial assistance to prospective investors, including private equity investors. In a practical sense, this means that a target portfolio company could not directly or indirectly, provide a guarantee, security, indemnity, loan or any form of credit or even gift, to a private equity or strategic investor, to facilitate the acquisition of its shares. With the proposed amendment, target companies will now be able to provide financial assistance to investors with the approval of its shareholders. This is important for the local industry because private equity dealmakers should now be able to use leverage more creatively as a deal structuring tool. To the extent that it will now be possible to deploy the assets and cash flows of a target as security for debt/financing, we expect that fund managers will be more comfortable to consider implementing more leverage or LBO- type investment and exit structures, assuming a favourable interest rates environment. Nigeria’s pension regulator commenced the implementation of the multi-fund pension funds management structure in Nigeria on July 2, 2018. In practical terms, the new structure mandates Pension Fund Administrators (PFAs) to implement a multi-fund structure that splits the erstwhile RSA Active fund into three different funds, alongside a fund IV (Retiree Fund). The new structure is a significant departure from the current approach which classifies all active contributors into a Retirement Savings Fund. This is significant for private equity fundraising in Nigeria because one of the key objectives of the new amendments is to encourage PFAs to invest in Variable Income Instruments (VIIs). Nigeria’s PFAs have historically been conservative about VIIs in favour of federal government securities. As of March 2018, pension fund allocated 69.5% of a total pension funds to Federal Government securities, specifically FGN Bonds and treasury bills. The approach of regulators to encouraging pension investments in VIIs is to stipulate that the difference between Fund 1 to Fund IV, will be the fund’s overall exposure to VIIs. The exposure to VIIs is defined to mean the sum of a PFA’s investments in “Ordinary Shares and participation units of Open Close-ended and Hybrid Funds; Real Estate Investment Trust; Infrastructure Funds; and Private Equity Funds comprising its current holdings and any future financial commitments to the acquisition of participation units in these Funds”. Other things being equal, we expect that the implementation of the multi-fund structure should drive pension fund allocation to local private equity funds, as a subset of VIIs. At the very minimum, we expect that, as a result of the amendments, PFAs will be more inclined follow the asset class and its varied structures, more closely and to establish/update internal private equity programs that will underpin own private equity strategies. However, we don’t expect that from a fundraising perspective, the gains will be immediate, as there are still other issues with PFA investment in private equity. Central to these issues, is the underlying concern as to whether pension investments in private equity in Nigeria will be able to deliver a premium over listed equities or FGN securities, in a consistent manner. In our view, unlocking pension funds for private equity in Nigeria may well depend on a fund manager's fund structure. We think that private equity funds that are keen on local pension funds, may well consider alternative private equity strategies, like private debt funds, fund of fund structures and secondaries, because of the prospect that these private equity strategies, by their nature, are in relative sense, 'de-risked'. Overall, it will be important for private equity funds looking to access local pension funds to structure their funds and fund terms to accommodate some of the more realistic concerns of PFAs.